I (temporarily) abandoned MacCarthy's Byron Life and Legend on page 217 for Gilot and Lake's Life with Picasso (Gilot met Picasso when she was twenty-one, and he was sixty-two.) specifically because MacCarthy didn't cover Byron's writing process. However, I did cull that Byron was an (acting) ephebophile. Initially, Byron's affection was for Lady Oxford but it "transferred from the mother to the daughters, beautiful, well read, [and] precocious children". 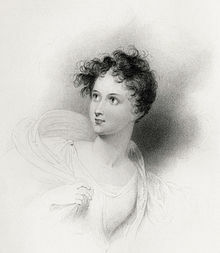 Byron was "bowled over by attractions of the eldest daughter, Lady Jane Harley, then sixteen, describing her in his dairy as 'a delightful creature, but un pea libre'." "[B]ut his favorite was her younger sister Lady Charlotte, at eleven, was at the age of promise which most moved him, the child on the edge of puberty." "Lady Oxford's daughter Charlotte is the subject of the famous and much anthologised five stanzas "To Ianthe," fragile flower of the narcissus [...] In these stanzas [...] Byron celebrates the girl's evasive charm and addresses the painful ambiguities of their relationship:"
To those who gaze on thee what language could they speak? And guileless beyond Hope's imagining! Before whose heavenly hues all Sorrow disappears. But mixed with pangs to Love's even loveliest hours decreed. But bid me with my wreath one matchless Lily blend. Though more than Hope can claim, could Friendship less require? 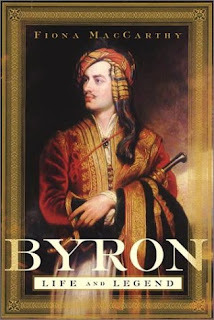 Byron commissioned for Richard Westall to paint the nymphet's portrait, and he shared "I should love [Charlotte] forever if she could always be only eleven years old [...]"
However, it appears that Byron's affections went too far. "Lady O[xford] detected him one day in an attempt upon her daughter, then a child of thirteen, & was enraged with him to the greatest degree."